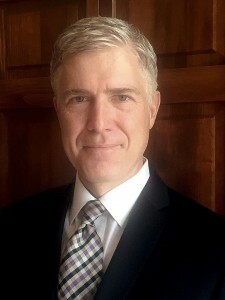 The National Shooting Sports Foundation (NSSF), the trade association for the firearms, ammunition and related industries, tonight expressed its strong support for President Donald Trump’s nomination of Judge Neil Gorsuch of the U.S. Court of Appeals for the Tenth Circuit to become an Associate Justice of the United States Supreme Court. Firearms industry group National Shooting Sports Foundation (NSSF) has released a statement backing President-Elect Donald Trump’s pick for Attorney General. The trade association for the firearms, ammunition and related industries, today expressed its strong support for the nomination of the U.S. 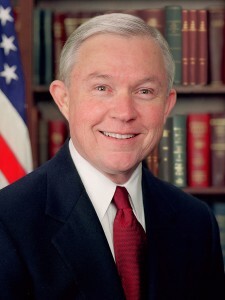 Senator from Alabama as the 84th Attorney General of the United States. 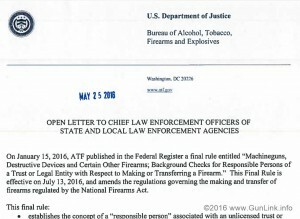 Frankly, we here at GunLink are just excited to see someone other than anti-gun Eric Holder or Loretta Lynch filling the roll, whose duties as the head of the United States Department of justice include being at the helm of the BATFE. These issues might represent a lot to consider when traveling with firearms, but a new bill introduced in the House might solve at least one of them. Yesterday marked the first day of the 115th Congress and Rep. Richard Hudson (R-NC-8) kicked it off with a piece of pro-gun legislation in the form of The Concealed Carry Reciprocity Act of 2017. 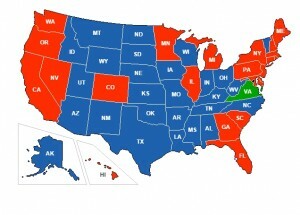 HR38 would eliminate the confusing hodgepodge of laws across the nation by allowing individuals who legally carry a concealed firearm in their home state to exercise the same right in any other state that does not prohibit concealed carry – a concept known as National Reciprocity. The official Congressional summary of HR38 is still pending as of this writing; however, Rep. Hudson has released this text of the bill, a one-pager summary, and a brief Q&A.